Carl von Clausewitz (1780–1831) is best known for his masterpiece of military theory On War, yet that work formed only the first three of ten volumes of his published writings. The others, historical analyses of the wars that roiled Europe from 1789 through 1815, informed and shaped Clausewitz’s military thought, so they offer invaluable insight into his dialectical, often difficult theoretical masterwork. Among these historical works, perhaps the most important is Napoleon’s 1796 Italian Campaign, which covers a crucial period in the French Revolutionary Wars. During this campaign the young, largely unknown Corsican, in his first command, led the French Army to triumph over the superior forces of the Austrian and Sardinian Armies. Moving from strategy to battle scene to analysis, this first English translation nimbly conveys the character of Clausewitz’s writing in all its registers: the brisk, often powerful description of events as they unfolded; the critical reflections on strategic theory and its implications; and, most bracing, the dissection and sharp judgment of the actions of the French and Austrian commanders. 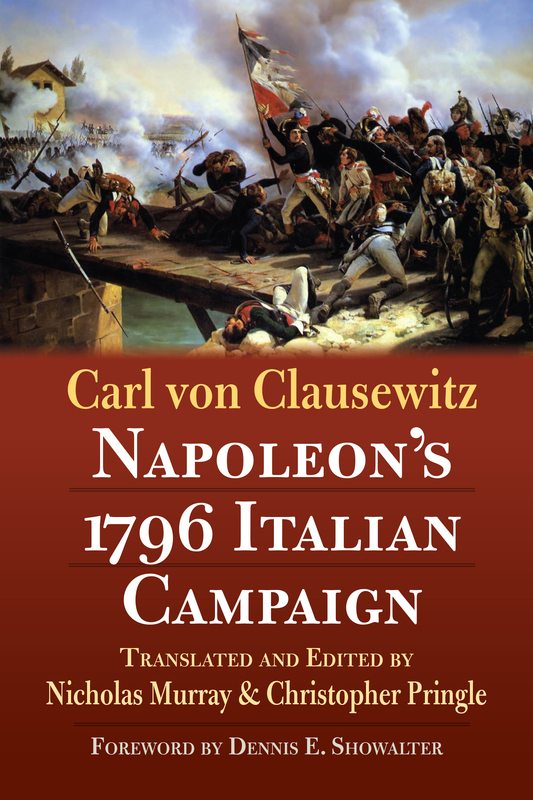 From the thrill of the Battle of Montenotte—the youthful Bonaparte’s first offensive—to the remorseless logic of Clausewitz’s assessments, Napoleon’s 1796 Italian Campaign will expand readers’ experience and understanding of not only this critical moment in European history but also the thought and writings of the modern master of military philosophy. Nicholas Murray teaches strategy and policy at the US Naval War College. He is the author of The Rocky Road to the Great War: The Evolution of Trench Warfare to 1914. Christopher Pringle is an academic publisher and a former officer in the British Territorial Army. He is the author of Bloody Big BATTLES! Rules for Wargaming the Late Nineteenth Century and a supporting blog.